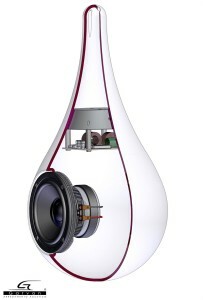 The drop-shaped Garvan loudspeaker is fascinating as it is innovative. If you are looking for innovative and classy audio systems, ​​this is the speaker for you! The endless color customizations and plating treatments (available in gold, platinum and silver), make it up to any situation. Even more astounding is the audio. 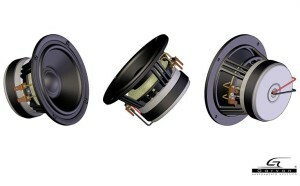 In its compactness hides a powerful two-way speaker concentric, able to satisfy even the most demanding listener in terms of sharpness and power of sound, with an efficiency of 90dB and a maximum power of 180Watt (RMS 90) . The design of the drop-shaped Garvan loudspeaker is basic, clean and surprisingly fits any setting, from the essential to the most sophisticated. The handcrafted superior quality of the drop-shaped Garvan speakers exceeds expectations on visual, tactile and of course, acoustics: a true work of art that retains its value over time.